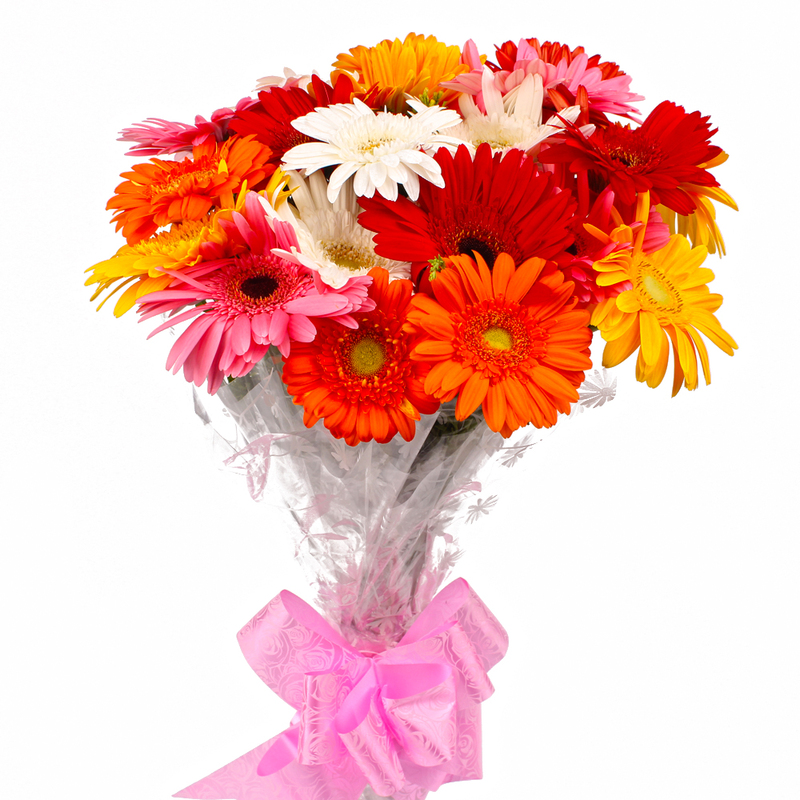 Product Consist : 18 Stem Multi Color Gerberas with green fillers in Cellophane Wrapping with Ribbon Bow on it. 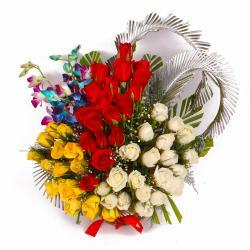 Make your dear ones feel elated with this adorable gift item gift in any special occasions such as Birthday, Anniversary, New Born, Janmashtami and Grandparents Day. 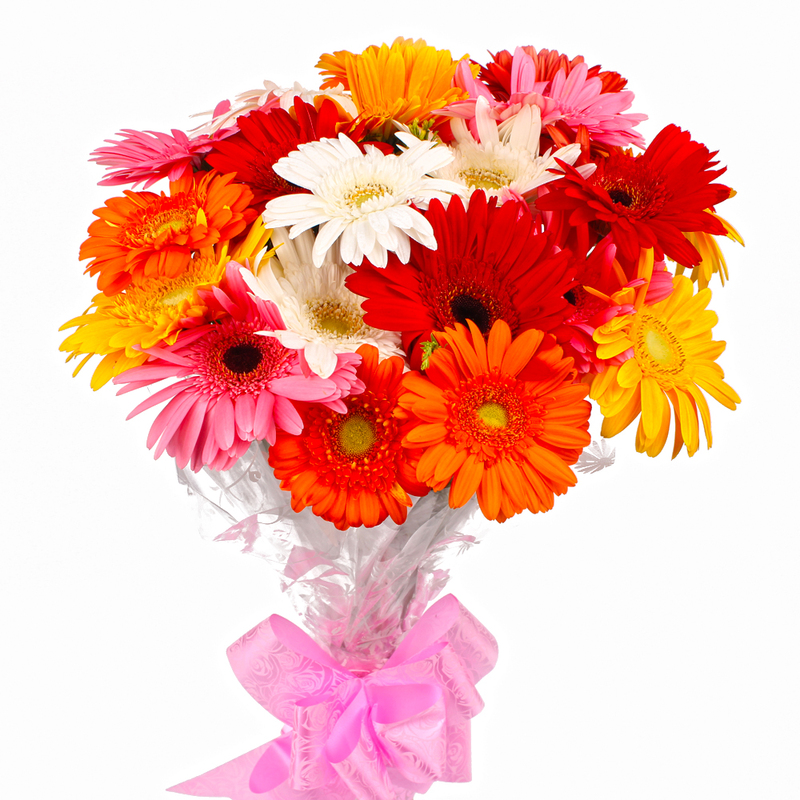 This gift item is bouquets of 18 Stem Multi Color Gerberas with lots of fillers are tied in a bunch and look very attractive. 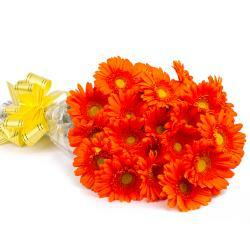 Gerberas Flowers also has hidden meanings as per its color and number. Gerberas represent royalty, respect, admiration and dignity. 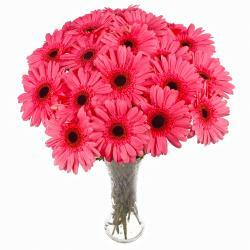 Gift this adorable bouquet of Gerberas to anyone you adore. So go ahead, place your order now. 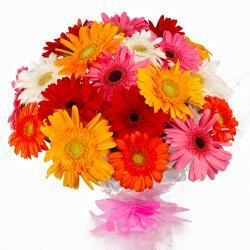 Product contains : 18 Stem Multi Color Gerberas with green fillers in Cellophane Wrapping with Ribbon Bow on it.